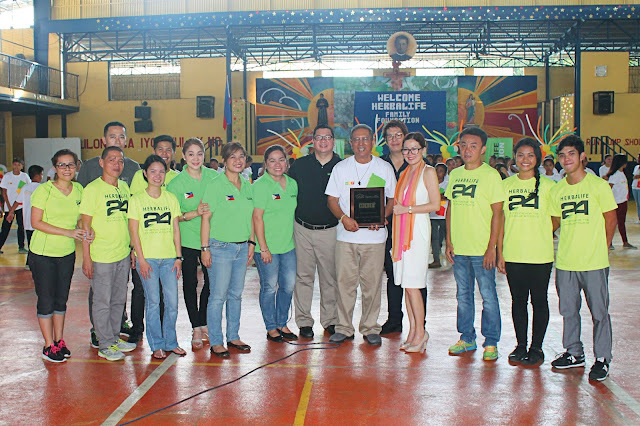 MANILA, PHILIPPINES, JUNE 30 2016 – The Herbalife Family Foundation (HFF), a non-profit organization committed to helping vulnerable children, recently announced the opening of its second Casa Herbalife Program in the Philippines, together with - Tuloy Foundation, Inc. (the Foundation) – an institution committed to uplifting the lives of poor, abandoned and neglected street children. Under the Program, HFF will provide an initial financial grant of 20,000USD to the Foundation. The funds will improve access to good nutrition for the children at the Foundation through the renovating of the Foundation’s central kitchen. Fr. Marciano “Rocky” G. Evangelist, SDB established Tuloy Foundation, Inc. in 1993, to provide a comprehensive rehabilitation program for street children in Manila. It has achieved outstanding success and worldwide recognition for its innovative programs that help poor and abandoned children to regain their self-worth and dignity, giving them a chance for a better life. In the Philippines, HFF currently supports the S.O.S. Children’s Village in Ayala Alabang Muntinlupa City. Under the program, the Village receives an annual grant that helps provide nutritious food to children living there. Herbalife Family Foundation (HFF) is a nonprofit organization dedicated to improving the lives of children by helping charitable organizations provide healthy nutrition to children in need. Additionally, HFF often supports relief efforts in response to catastrophic natural disasters around the world. In 2005, HFF was proud to introduce the Casa Herbalife Program. Today, HFF supports over 130 Casa Herbalife programs in more than 50 countries and serves tens of thousands of children daily. HFF is supported by Independent Herbalife Members, their friends and families and Herbalife employees. Herbalife is a global nutrition company that has been changing people's lives with great products since 1980. Our nutrition, weight-management, energy and fitness and personal care products are available exclusively to and through dedicated Independent Herbalife Members in more than 90 countries. We are committed to fighting the worldwide problems of poor nutrition and obesity by offering high-quality products, one-on-one coaching with an Herbalife member and a community that inspires customers to live a healthy, active life.